If you are a company and you want all of your parking transactions to be managed under the one account - then CellOPark BIZ is the plan for you. 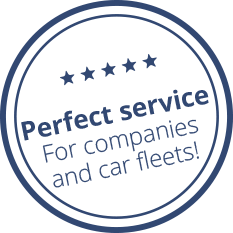 CellOPark Business Accounts can have from as little as 4 vehicles to as many as you like. All the users you nominate are covered by one monthly bill. Users can switch between their Private account and their BIZ account profile with a click of a button. Discount is also available on our premium services for CellOPark BIZ members. Employees can use the CellOPark app to pay for parking and do not need to keep loose change or receipts. You see the usage live and know when and where your employees park. Using CellOPark your employees only pay for the time they park and receive reminders that can save you money. All under the one account with one monthly bill. No need for paper receipts or employee reimbursements. CellOPark BIZ – all your parking payments in one place! If you wish to apply, simply complete the BIZ account application form – here. Once your application is received, one of our team members will contact you within 1-2 business days to finalise the registration process and take the payment details. Mon-Fri 8:00 - 18:00 AEST.